Thank you so much for visiting Words for the Year. Historically, we’ve posted one poem, quote or art selection each day; you’re welcome to read through our archives and/or to subscribe by email. We began posting on January 1, 2014, and, with the exception of a short hiatus at the beginning of 2016 we have posted once per day. So if you are new to the site, there is plenty of material in the archives to read through. This began as a diary-project of sorts, and it still is really. I post selections that I’ve read either in books or on-line, selections that resonate with my soul or that kick me in the gut (in a good way!). Sometimes they reflect my mood, sometimes I share them just to remember them. Most, but not all posts, tend to focus on finding our way out of the darkness and appreciating the light, wherever we may find it. Most, but not all posts, are family-friendly, but strong language and themes are sometimes included; I don’t censor poets nor selections. You may share our posts, but please give all poets, writers and artists the credit they so richly deserve. Comments and likes are welcomed, but far from expected. We typically close comments after 60 days simply to keep spam to a minimum. We aren’t on Facebook, but we are on Twitter as Christys_Words; you can view recent tweets in the footer below. You are more than welcome to share your thoughts on any piece or poem in the comments, brief or in-detail. Readers range from casual-reader to expert-poet, and to all in-between; your thoughts are important and will fit right in, I promise. * Do you have a favorite poem or quote? Send it to us via our contact page, and maybe we can feature it. Or feel free to just say hello. Please know I am not a “lit mag” so please don’t submit packets of your own material; I know how tough that is though, and I wish you the absolute best! 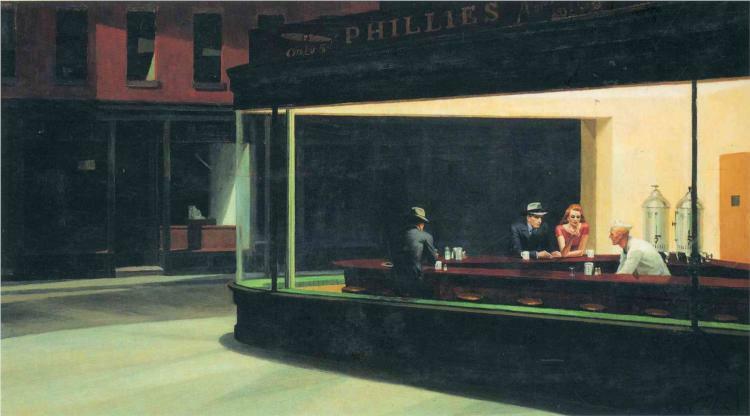 Our featured header image is Nighthawks (1942) by Edward Hopper. The work we share moves us, heals us, and speaks to us; we share it out of love for words and the arts and the light they shine in an oft dark world. We are very grateful to these writers and artists for making this world a brighter place, and we hope you will support their work and efforts; we do our best to provide Amazon links and/or author websites or bio links. If your work is shared here, and you would like it edited or removed for any reason, at any time, please contact us; we will honor your wishes. No copyright infringement is ever intended. Words for the Year is a revenue-free, swag-free and ad-free site; it is a true labor of love. Sharing poetry is our passion, sharing your personal info is not — we will never share or sell your personal information or e-mail address.